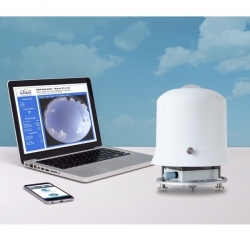 Developed in partnership with CMS Schreder, the ASI-16 All Sky Imager (ASI) by EKO offers an advanced solution for cloud monitoring, designed to withstand all weather conditions. For the automated acquisition of a dynamic range of images, the solution leverages a digital camera with fish-eye optics and a 180° field of vision, protected by a coated quartz dome that prevents sensor degradation from long-term sun exposure. 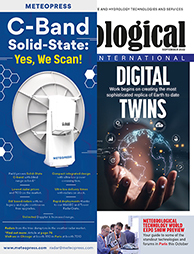 Digital sky imagery can be a powerful tool when operated continuously, and the processed output must be accurate enough to determine and classify clouds. As a result, EKO has introduced Find Clouds Trinity software to complement the ASI-16 All Sky Imager, enabling meteorologists to evaluate total sky images with higher accuracy than was allowed by previous software applications. As well as a new approach to cloud detection, the software boasts additional functionalities such as the detection of direct sunlight and the determination of cloud motion from two consecutive images.